Fantasmarific=Fantastic+Terrific. One of the main reasons I go to used book stores is the fact that I can get series that are no longer in print. 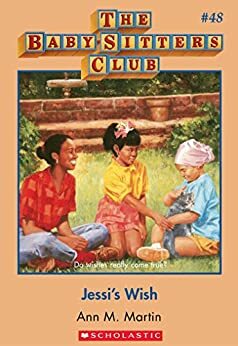 Guys, when I was younger, I loved The Baby-Sitter’s Club series! My goal in life was to be a baby-sitter. Much to my dismay, you could not do it as young as was mentioned in the books. My favorite character was (and still is) Mallory. She looked like me, and liked to write. 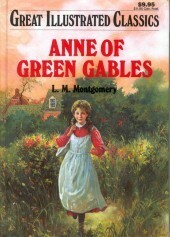 I always enjoyed her books the most! That’s why I’m always on the lookout for one of her books! Of course, there’s always Amazon. (Which, BTW, is still 50 cents more expensive than the used book store.) But seriously though. I have found many Baby-Sitter’s Club books while shopping there. Then, there are also the fun collectibles, like bookish t-shirts, bags, and candles. Yes, that’s right. Candles that smell like books. What will they think of next? This is apparently a big thing nowadays. Local businesses are not big brands like Barnes and Noble and normally have one store. But, that’s kind of what makes them special. All Barnes and Nobles look pretty similar, but if you have a hometown used bookstore, it’s special to nowhere near as many people. If you open a used book store, it’s pretty much guaranteed that you love, love, love, love love, love love love LOVE books! You’d have to to be able to spend all day surrounded by them. In my local used bookstore, there are Harry Potter things everywhere. Sigh. I should stop hanging out with bookworms. Just kidding! That will never happen! Though you may not think so at first, it’s pretty cool what stories your books can tell. and I’m not talking about the one penned by the author, I’m talking about the one the readers create. Maybe the book was a birthday present, which turned into a favorite read, which is now in your hands and your favorite read. Or, the book was a library book, that got passed around many times before it wasn’t. The librarian then took it to the used book store so it might have another home and another reader. That book is now in your hands. Nice idea, right? Why do all of my happy dance GIFs have something to do with winter? This is the “Haul” section of this post. While there, I got three books. 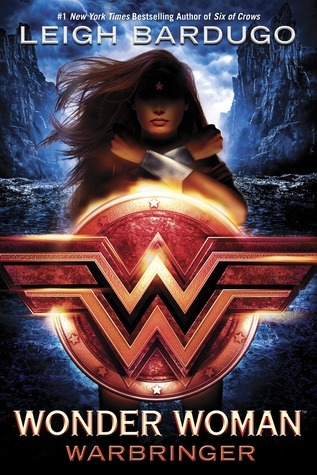 I got Jessi’s Wish (Baby-Sitter’s Club book #48), Anne of Green Gables (I have wanted to read this forever), and……. Duh, duh, duh! I am so excited about this one. I knew it would be impossible to find at the library for a while, and it’s been on my TBR . so, lo and behold, there was a box full of new books, and this one was in it! In hardback! And 10% off! Thanks Dad! I hope you all enjoyed this post, and that you gave your local used book store a second thought! On a more serious note, I’d like you all to remember the significance of today, 9/11 and the first responders who risked their lives to help our country. On an also very serious note, let’s help and hope for those trying to rebuild their lives after Hurricane Harvey and those suffering from Hurricane Irma. Do you like used book stores? What was your favorite “Childhood” series? What do you consider your best book find? I would love to know! Previous Kindness is a Butterfly…. I’ve never been to a used bookstore, and I do like the idea but I just prefer browsing online! i think used book stores are great! and lol, i really need to read harry potter… oops? Cool! You definitely should read Harry Potter! Thank you Amalee! I would help find Neville’s toad too! Hello Rose! My friend Anya is releasing a blog, and it’d be great if you could sign up for the tour! Thank you so much for telling me! I was about to sign up, but sadly the signups were closed.